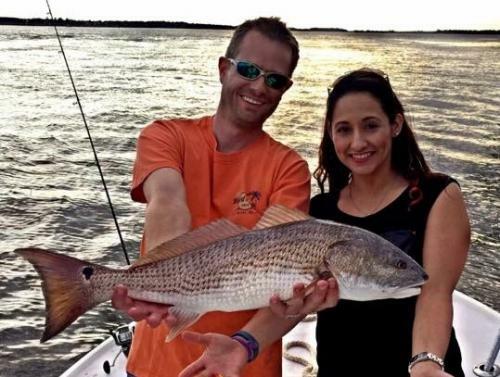 Keel N Time Fishing Charters specializes in providing fun and exciting adventures on the waters of Charleston that are custom tailored for you and your friends. Your imagination is the limit when it comes to the type of trips we can do for you! 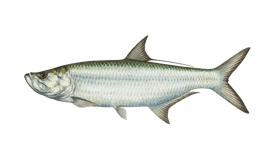 Come fishing for inshore and nearshore species, such as Red Drum, Cobia, Sharks, Trout, Black Sea Bass, Sheepshead, Spanish Mackerel, King Mackerel, Tarpon and Bluefish. Dolphin tours, island hopping, and Charleston Harbor cruises are also an option. Did we mention it’s your trip, so we’ll tailor it to your interests! 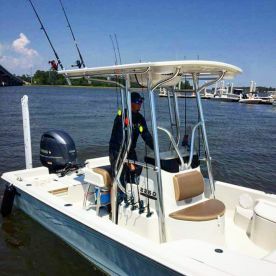 You’ll be fishing aboard a 17’ Mako Center Console that can take up to four anglers. 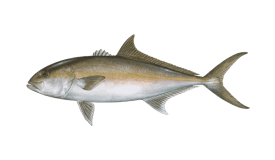 Your fishing gear will be waiting for you, and if your trip requires it, the captain will also provide live bait. 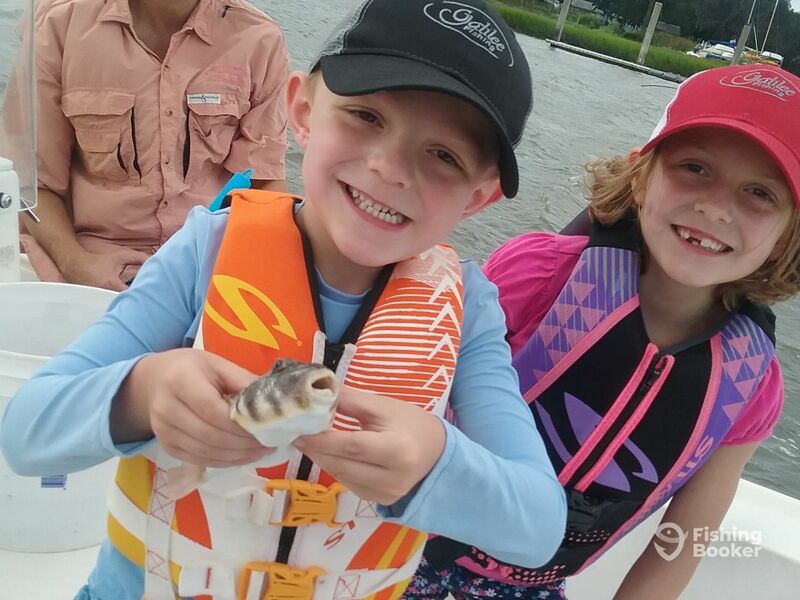 The Charleston Harbor is a flourishing fishery, and you’ll find plenty of fun wherever you go. 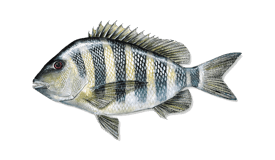 During your trip, you’ll fish inshore waters or up to 15 miles off the beach to fish artificial reefs and wrecks. Captain Chris has USCG 50 Ton Masters license and is fully insured. He knows these waters well, and has been fishing them for nearly 30 years. 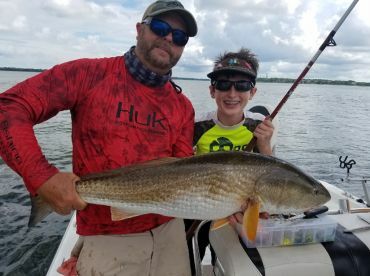 He loves having kids onboard, and often goes fishing with his 11-year-old son who’s pretty soon going to be a first mate! Captain Chris is flexible, and to suit your schedule, tides or weather, departure times may vary. If you have any questions about your trip, Captain Chris will gladly answer. If you want to give your kids a day to remember, just let Captain know their age and size so that he could prepare life jackets in right size. All you need to bring is your friends, sunscreen, and favorite snacks + plenty of beverages! We take care of the rest. 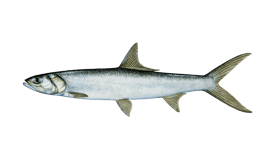 All licenses, tackle, bait, and ice/cooler/water are provided. 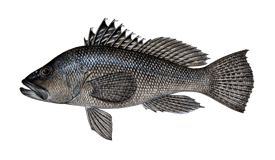 Come experience Charleston from the water with Keel N Time Fishing! You'll have eight hours of fun, going around artificial reefs and wrecks. 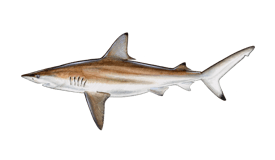 A bit further offshore, you'll have a chance to catch some bigger fish, even battle Shark, or Mackerel. The gear is supplied onboard, so you just need to muster your grip! As nearshore trips rely heavily on the weather, our back-up plan is inshore. 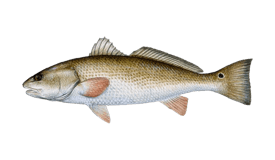 On this trip we'll have a great time fishing wrecks and artificial reefs just offshore of Charleston. 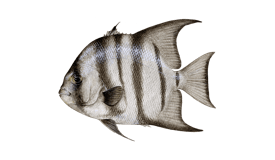 You never know what you are going to catch on the reefs. 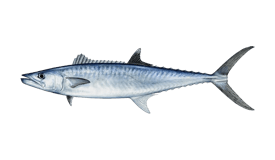 You might do battle with Shark, or Amberjack (Reef Donkey) or perhaps catch a screaming King Mackerel that smokes the drag on the reel! 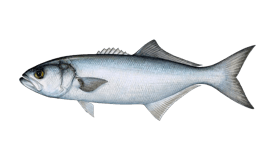 These trips out onto the ocean are by far that best way to load up your cooler with delicious fish to take home! Note: Nearshore trips are very weather dependent, our back-up plan is inshore. This 8 hour trip provides a lot of time for some fine angling. 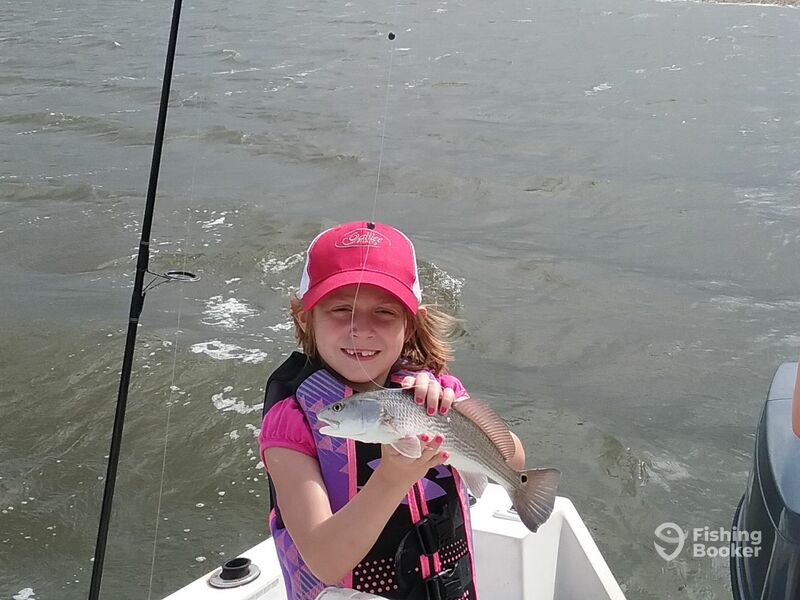 Enrich your weekend atop waves, and have a go at trophy Redfish. The gear will wait for you onboard, and you will have plenty of time to enjoy the waters of Charleston Bay. If you're looking for a weekend escapade, why not go fishing? 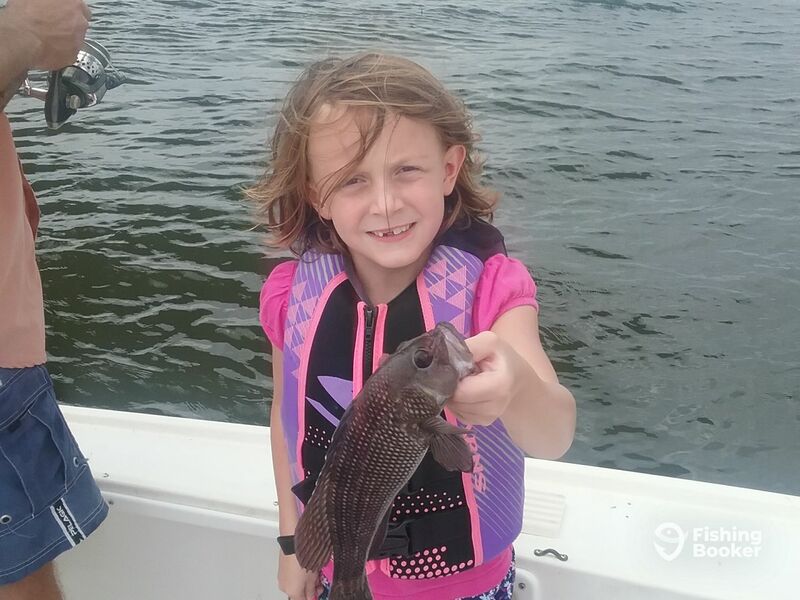 Captain Chris will take you out around the waters of Charleston Bay, where you'll chase inshore fish - have a go at Black Sea Bass, Trout, Redfish and Bluefish. 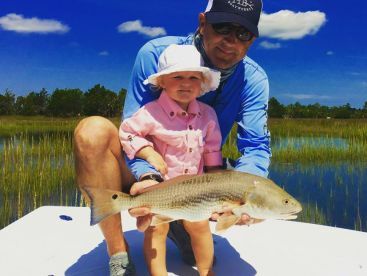 This trip is your best shot at a trophy Redfish! Rise and shine! 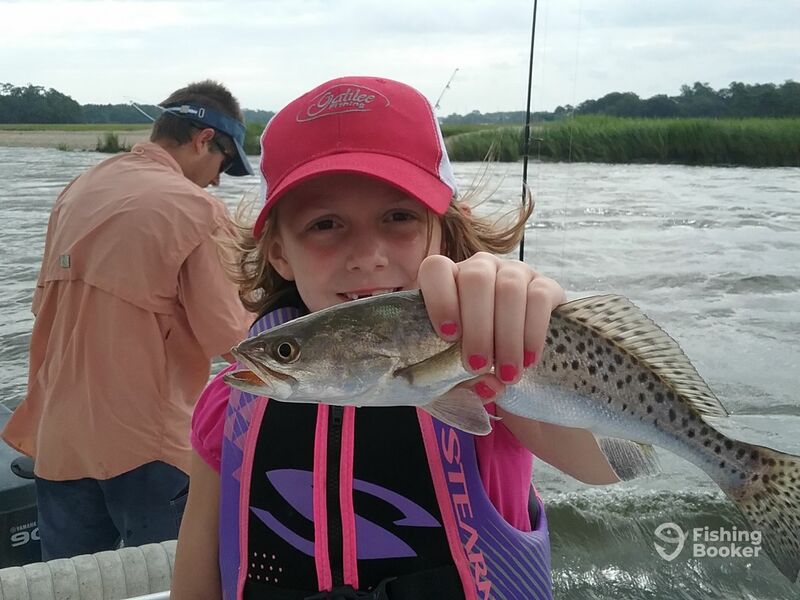 On this half day trip, we'll have a great time fishing the Charleston Harbor, jetties, and nearby creek. 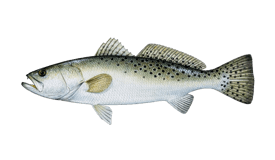 A variety of species swim around these waters, including Redfish, Trout, Black Sea Bass, Sharks, and Bluefish. Bring your camera to capture the moment, and enjoy morning fishing! If you're looking for a great way to spend your afternoon, this half day trip might be just for you! 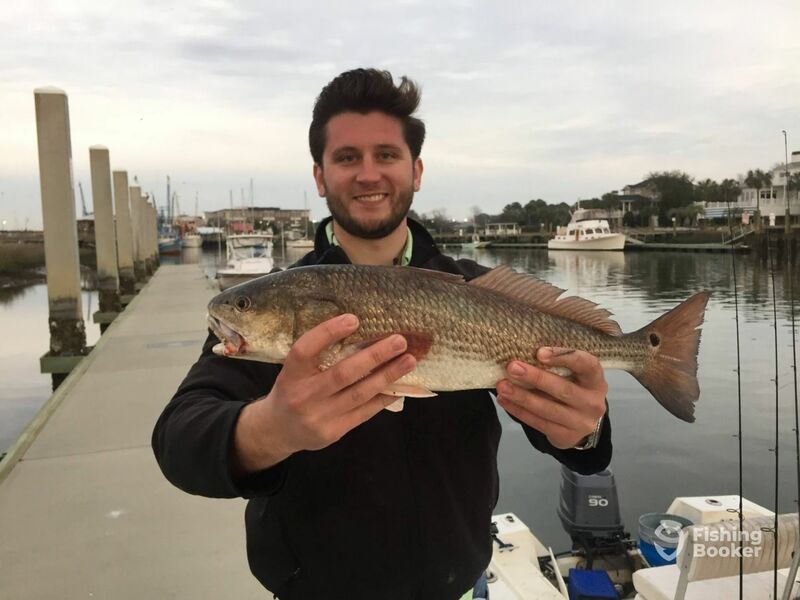 During the trip, you'll go looking for Redfish, Trout, Black Sea Bass, Sharks, and Bluefish. Captain will show you the waters of Charleston Harbor, jetties, and nearby creeks. Pack your necessities, and come along! Mako (Center console) originally built in 1985, and restored in 2014. Powered by a 90HP Yamaha engine, with a maximum cruising speed of 32 knots. 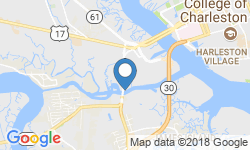 Transfer from hotels or jetties in Charleston to departure site is available and included in trip rates. Capt. Chris has been fishing as long as he can remember. 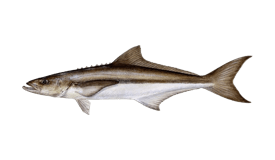 Growing up, he would go freshwater fishing with his Dad, and for special trips they would take off to the beach and pier, or surf fish for the weekend. Those were some of the best times! Capt. Chris has his USCG 50 Ton Masters license and is fully insured. 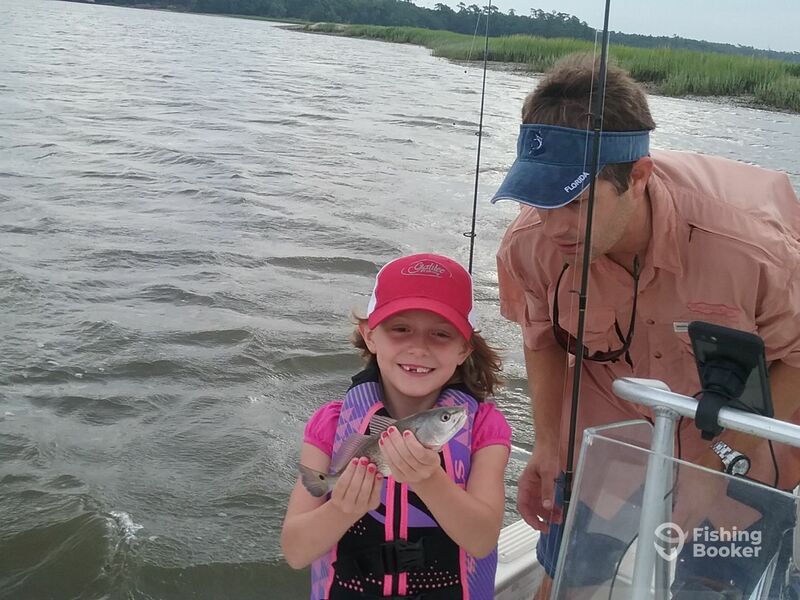 He has been fishing the coast of Carolina's for 28 years and caters to anglers of all ages and experience levels. He loves having the chance to help you make your own special memories with your family! 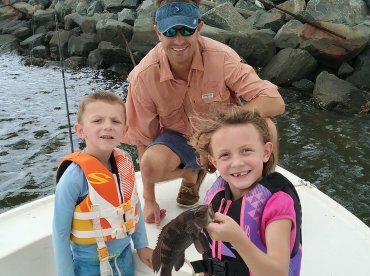 My kids had a great first time salt water fishing trip with Captain Chris Keel. 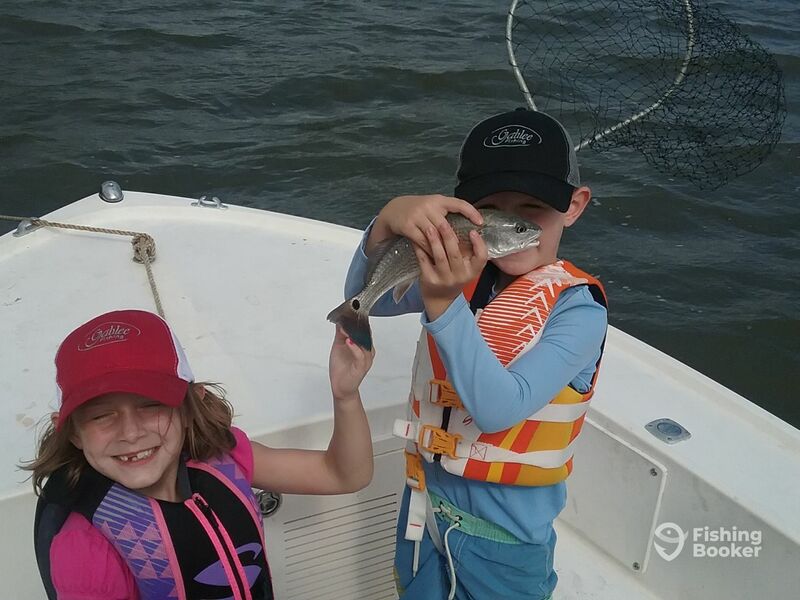 We caught reds, sea trout, sea bass, a grunt, a blow fish, and a few others. My kids had a blast! Check out some of the pictures of our trip at the contacts tab at wwwgalileefishing.com. They will be posted on 8-1-17. Had a great time with your family. Thanks for the review. Had a great charter with Keel N Time. Caught 65 fish! Chris the guide was very knowledgeable, personable, and worked very hard to get us directly on top of structure. Would highly recommend!